After less than a year in the job, former MP Norman Baker has stepped down from his managing director role at a Brighton bus company. Mr Baker left his role at The Big Lemon this month ‘to pursue new challenges’, and said he has achieved what he set out to do at the company. 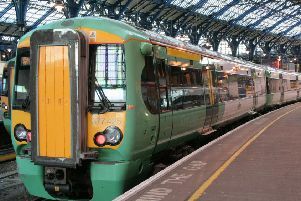 In the ten months since Mr Baker’s appointment, the eco-friendly company has won five new council contracts to run services in Brighton and Hove. The former Liberal Democrat MP for Lewes (1997-2015) served as Transport Minister from 2010 to 2013, and was the chairman of Bus Users UK after leaving politics. Tom Druitt, The Big Lemon’s founder and CEO, said: “I would like to thank Norman for his huge contribution to The Big Lemon this last year. He has taken the organisation to the next level and we now have the opportunity to grow our impact far beyond what was previously possible. “He did raise the profile of The Big Lemon quite dramatically which set us up well for the future. Mr Druitt said the company, which doubled in size over the last year, will now focus on converting more of its buses to electric. The company is known for running its buses on waste cooking oil from local restaurants, and using electric buses powered by solar energy generated on the roof of the bus depot. He said at the moment the company was not looking to employ a replacement for Mr Baker.